Tuina is an Oriental Bodywork Therapy that has been used in China for 2, 000 years. Tuina uses the traditional Chinese medical theory of the flow of Qi through the meridians as its basic therapeutic orientation. Through the application of massage and manipulation techniques Tuina seeks to establish a more harmonious flow of Qi through the system of channels and collaterals, allowing the body the naturally heal itself. Tuina methods include the use of hand techniques to massage the soft tissue (muscles and tendons) of the body, acupressure techniques to directly affect the flow of Qi, and manipulation techniques to realign the musculoskeletal and ligamentous relationships (bone-setting). External herbal poultices, compresses, liniments, and salves are also used to enhance the other therapeutic methods. Tuina has a variety of different systems that emphasize particular aspects of these therapeutic principles. The main schools in China include the rolling method school which emphasizes soft tissue techniques and specializes in joint injuries and muscle sprains, the one finger pushing method school which emphasizes techniques for acupressure and the treatment of internal diseases, and Nei Gung method school which emphasizes the use of Nei Gong Qi energy generation exercises and specific massage methods for revitalizing depleted energy systems, and the bone setting method school which emphasizes manipulation methods to realign the musculoskeletal and ligamentous relationships and specializes in joint injuries and nerve pain. In a typical session, the client, wearing loose clothing and no shoes, lies on a table or floor mat. The practitioner examines the specific problems of the client and begins to apply a specific treatment protocol. The major focus of application is upon specific pain sites, acupressure points, energy meridians, and muscles and joints. Advanced Tuina practitioners may also use Chinese herbs to facilitate quicker healing. Sessions last from 30 minutes to 1 hour. Depending on the specific problems of the client, they may return for additional treatments. The client usually feels relaxed but energized by the treatment. Tuina is now being popularized in this country as a powerful therapeutic extension of traditional western massage methods. Tuina's simplicity and focus on specific problems, rather than a more generalized treatment, make it both an excellent alternative and/or extension of the Swedish-style massage. By utilizing treatments of shorter duration, it can be used in a variety of settings, including home, office, clinic or hospital. It is well suited for both the professional massage therapist or the active, health conscious individual. Tuina practitioners can be found by calling Acupuncture Colleges of the American Oriental Bodywork Therapy Association. Tuina dates back to the Shang Dynasty of China, 1700 B.C.E. Oracle bones show that tuina massage was used to treat children's diseases and digestive complaints in adults. By 600 C.E. Tuina was included in the Imperial Medical College as a separate department. Tuina flourished throughout China until the Qing Dynasty where it was suppressed along with other Chinese cultural arts. Following the Communist revolution, Tuina was restored along with other traditional medical arts and was included in the creation of the current system of Traditional Medicine Colleges. Currently, Tuina is taught as a separate but equal field of study in the major traditional Chinese medical colleges. 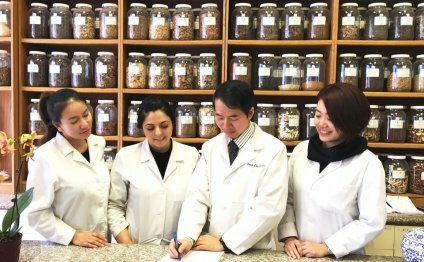 Tuina doctors receive the same demanding training as acupuncturists and herbalists and enjoy the same level of professional respect. Tuina is well suited for the treatment of specific musculoskeletal disorders and chronic stress-related disorders of the digestive, respiratory and reproductive systems. Effective treatment protocols have been tested in a practical setting. Tuina is not especially useful for those seeking a mild, sedating and relaxing massage since it tends to be more task focused than other types of bodywork. Contraindications include conditions involving fractures, phlebitis, infectious conditions, open wounds, and lesions. Bill has been studying martial and healing arts since 1965. He specializes in Tuina, Taijiquan, Qi Gong, and herbal medicine. Bill studied in China at the Shanghai Traditional Chinese Medicine College and at the Beijing Olympic Training Center, and in the United States with Taoist Master Share K. Lew and Dr. Yu Da Fang. Bill has taught Tuina since 1978 and the Dean of Allied Arts at Pacific College of Oriental Medicine and Director of the Taoist Sanctuary of San Diego. Mr. Helm offers Tuina workshops. What Is a Full-Body massage?